Cellphone radiation is a contentious issue. The World Health Organisation describes it as possibly carcinogenic, and most research to date has proven inconclusive. Whether that research is proven or not, many would prefer to air on the side of caution. For that reason, Israeli startup Tawkon has created an Android app that attempts to limit users’ exposure to harmful levels of cellphone radiation. 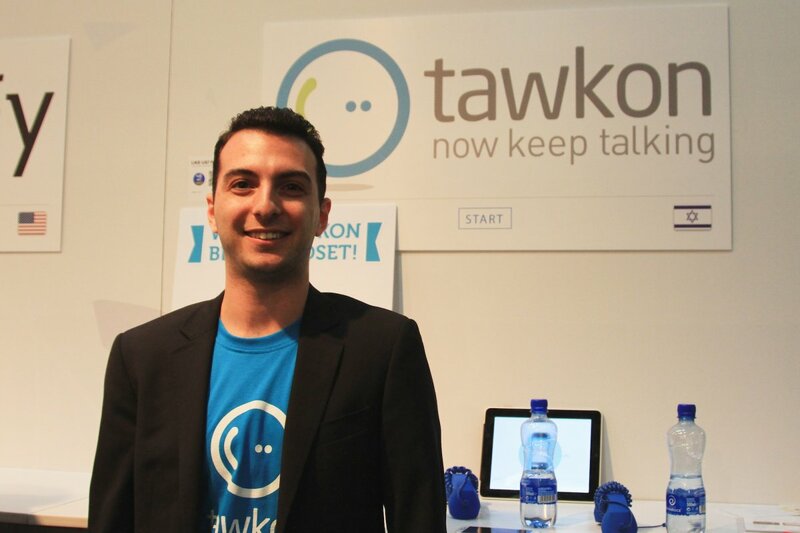 Nestled among hundreds of other startups and entrepreneurs in Startup Village at the Dublin Web Summit, we talked to Ori Goshen (@origoshen), co-founder and head of research and development at Tawkon. Ori Goshen, co-founder and Vice President of Research and Development at Tawkon. Ori explained that around 90% of the time the level of cellphone radiation when making or receiving calls is extremely low. However, about 10% of time cellphone radiation could reach harmful levels. So how does it work? For the user it is simple – as Ori explains – but in the background patent pending technology calculates the device’s radiation level and the amount of user exposure, and warns when appropriate. How successful is the app to date? Judging by download and usage figures, quite successful. The app has one million users, has clocked up over 100 million calls and saved 10 million minutes of high levels of radiation.  Archived in General and tagged Android, android app, cellphone radiation, dublin web summit, dws, mobile phone radiation, ori goshen, tawkon. Bookmark the permalink. The 90% / 10% concept for radiation levels is good to know. Having a way to know what is happening where you are standing is a great idea. There are some other tests using Applied Kinesiology that provide useful demonstrations about how cellphone and other radiation effect strength, balance, and flexibility. Good demonstration video at: http://freqshield.com/free-trial-details-3/.